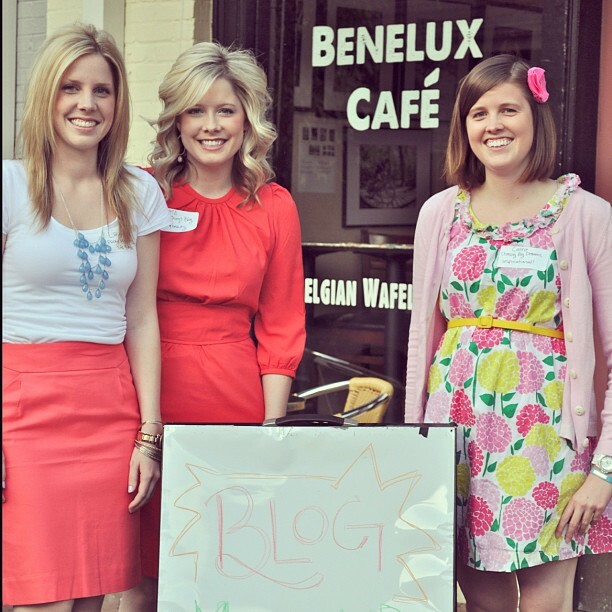 We quickly got Kate's amazing sister, Lauren, on board and started to plan our mini meet-up. We were incredibly blown away the response and were sad that we were unable to host an event large enough to meet the response level. Once we realized it was going to be large enough to fill an entire Starbucks, we knew we'd have to find a great location. I got an email from Kate a few days later explaining that she had talked to the owner of Benelux, an amazing little cafe. I was pretty much sold on it after she mentioned that they sold waffles. I had never been there before, but I was dying over the cuteness when I first arrived. Honestly, I felt like the meet-up flew by. 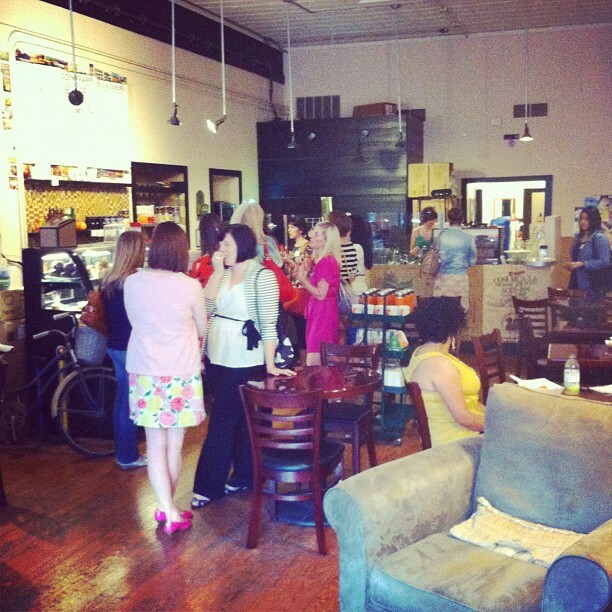 I got to meet so many wonderful bloggers in the area and had so much fun chatting up a storm. Kate, Lauren, and I all shared little tidbits about our blogs, our hearts behind them, and things we've learned along the way. I am so looking forward to connecting more with them through their blogs. We made these fun gifts to give all the bloggers as a thank you for attending. Aren't all these bloggers just so adorable? 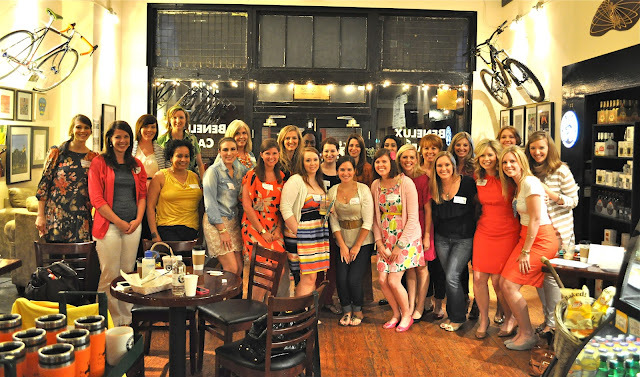 We hope to host more local meet-ups in the future and build a community of bloggers in our city! wow that's amazing, carrie! you all are so fashionable and cute to boot! i may have been too shy to do something like that. I found your blog from The Small Things Blog. I love your dress! Where did you get it? !